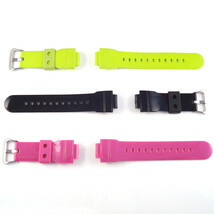 timebymail ... High Quality Precision Watch Parts Tools Shop wholesale feedback ORIGINAL CASIO G SHOCK AW582 SHINY GREEN RUBBER/SILICONE WATCH BAND STRAP Watch Tools Watch Crystals Leather Watch Straps Omega Dynamic Straps Military Watch Straps Stainless Steel Straps Rubber Watch Straps Nylon Watch Straps Casio Watch/Straps Swatch Watch Straps Watch Clasps Buckles Watch Parts Watch Hands Watches Watch Crowns Watch Movements Watch Circuits Watch Coils Wholesale Items Clock Parts Tools About Us Feedback Condition - New Original Make - Casio Model - G-Shock AW582 Size - Mens and Ladies Buckle - Stainless steel Colour - Black, Pink, Green Material -Rubber / Resin Style - Shiny Sizes - 16mm (inner) 25mm (Shoulder) Length - 12.9cm and 8.5cm long Thickness approx - Aprrox. 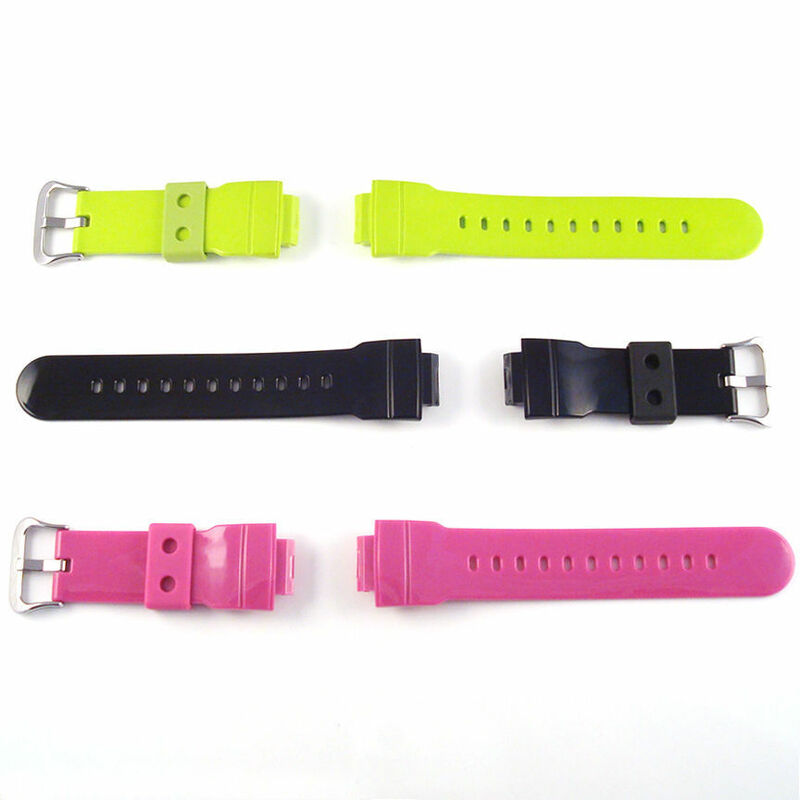 2mm One Day Dispatch Free UK Postage Next Day UK Postage Option Shiny Black Shiny Pink Shiny Green These NEW, 100% Original Casio Rubber / Resin 16mm (lug), 25mm (shoulder measurement) strap is of excellent quality and is approx. 2mm thick. 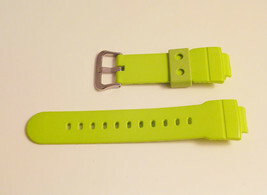 It is a direct replacement for the Casio G Shock AW582 Series. It is 12.9cm and 8.5cm long (including lugs and buckle). 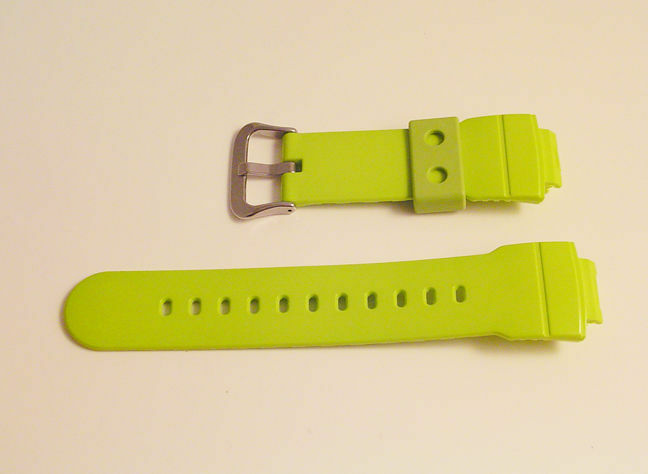 The two sections of strap are designed with a shiny finish and a strap retainer. The buckle is signed Casio JAPAN on the back. 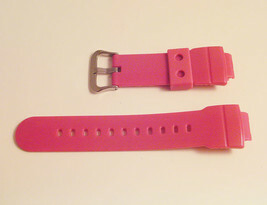 A stylish strap with a lovely smooth feel to it ensuring a comfortable wear. Could you please confirm your address as soon as possible if it is different to and Paypal. After payment is made we will post to your address (next day) so if it is incorrect then please let us know as quickly as possible.